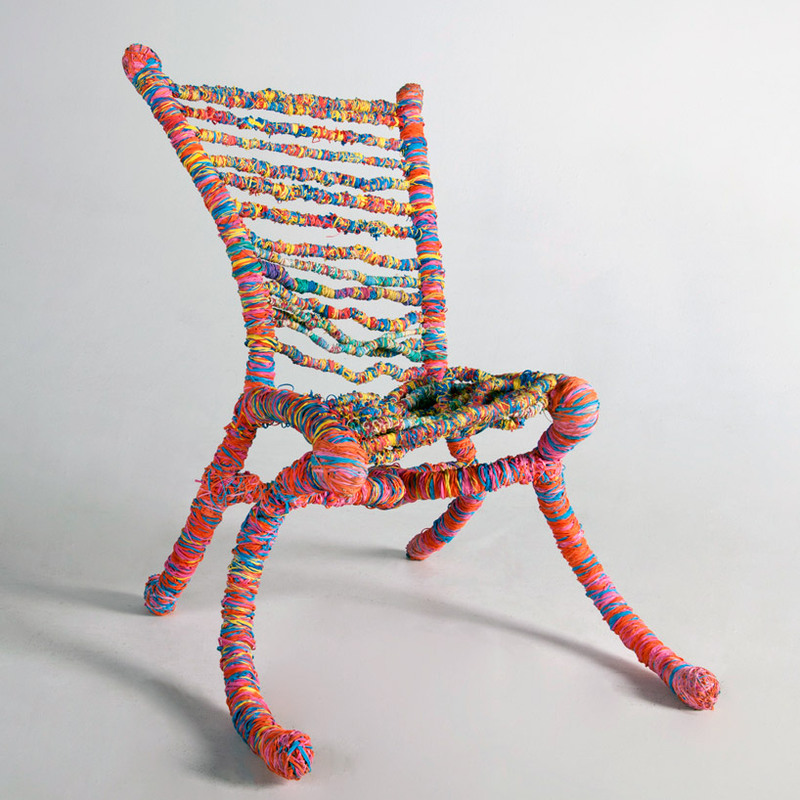 industrial design student preston moeller has created the ‘rubberband chair’. the seating object is constructed from a wire frame which has been bound in 65, 000 colorful rubber bands offering a seat that gives a bit of a bounce and flexibility when sat upon. What about the average lifespan of a rubberband…? Are they UV resistant etc?